Again whoever made this list seems to equate good Brazilian music with lounge music... something nice to have on a beach-side café. So you join Joao Gilberto's daughter and Suba, the Yugoslavian chill-outter (who, in an event of great poetic justice died in a fire, not so chilly now). After you make this satanic ritual of adding chill-out to Bossa Nova, which was chilled out from the beginning back in the middle of the 20th century, you end up with soporific... great! So yes, the album is boring. 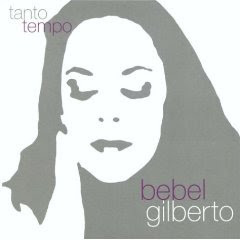 Not that Bebel hasn't got a great voice, which she does, and a couple of the songs are not horrible. However this is comparable to another terribly impersonal Brasilian album which has been on the list, Astrud Gilberto's Beach Samba, and you should look back at that review for more pointers on this one... It's all a bit elevatory without being uplifting, like a lift going down really. 4. I really can't find another tolerable one. On November 2, 1999, he was working on the postproduction of the album of his newfound diva, Bebel Gilberto, when his studio caught fire. Overcome by smoke, he died trying to rescue the newly recorded material with her. It isn't even famous here in Brazil.